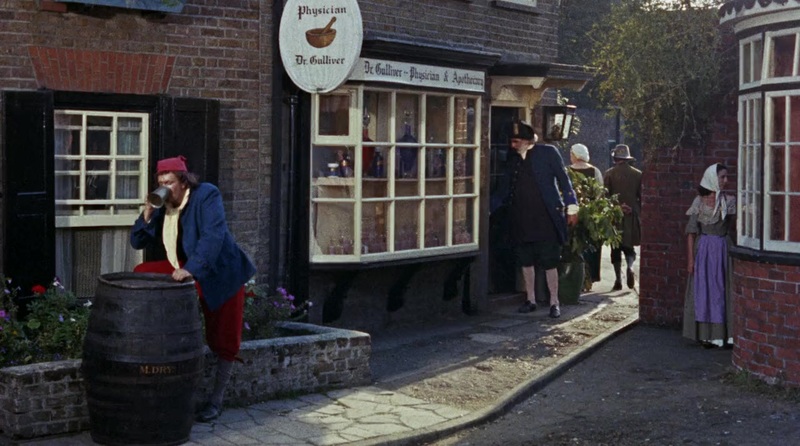 Doctor Gulliver is poor, so nothing - not even his charming fiancée Elisabeth - keeps him in the town he lives. He signs on to a ship to India, but in a storm he's washed off the ship and ends up on an island, which is inhibitated by very tiny people. After he managed to convince them he's harmless and is accepted as one of their citizens, their king wants to use him in war against a people of giants. Compared to them, even Gulliver is a gnome. This pleasant yet dated little 1960 family movie arrives is part of Columbia TriStar's "Ray Harryhausen Signature Collection." 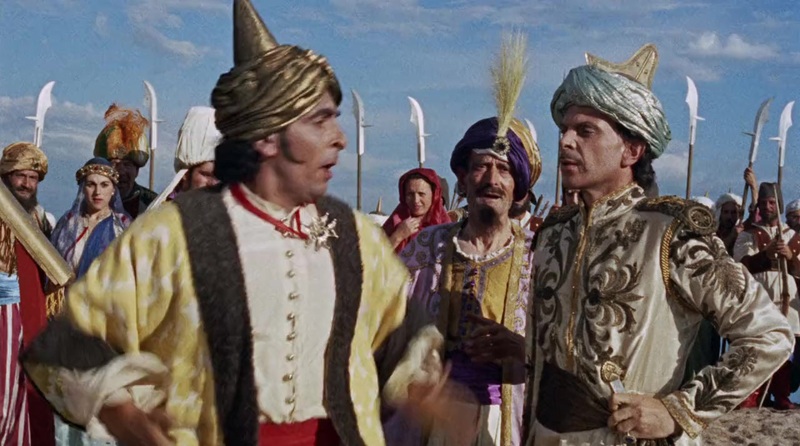 However, unlike Jason and the Argonauts, First Men in the Moon, The 7th Voyage of Sinbad, The Golden Voyage of Sinbad, and 20 Million Miles to Earth, there's not much here to thrill the average Harryhausen fan. 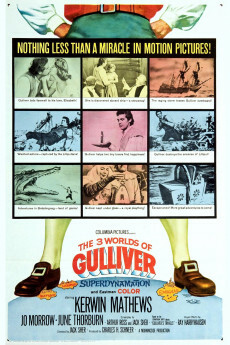 Other than a quick battle with a giant alligator and a dino-sized squirrel that's more mirthful than menacing, The 3 Worlds of Gulliver doesn't depend on Harryhausen's famed stop-motion monsters to menace our hero. 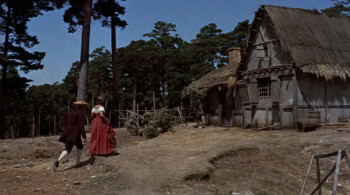 Instead, it features cinematic effects that make seafarer Dr. Lemuel Gulliver (7th Voyage's Sinbad, Kerwin Mathews) a skyscraper-tall behemoth on the isle of Lilliput and a doll-sized castaway "witch" in the court of Brobdingnag. The script is just a wire hanger for the "giant/tiny" effects scenes, but the story moves briskly (even a pair of treacly song-breaks don't get much in the way), and it should particularly appeal to the under-10 set who haven't yet become jaundiced to anything pre-dating modern CGI gloss. 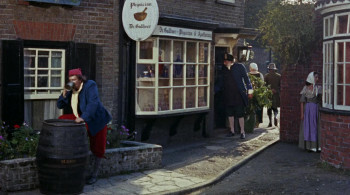 Mathews is plenty wholeseome and likable in a role first offered to Danny Kaye and (no kidding) Jack Lemmon. And Gulliver's fiancé/wife (June Thorburn) is perfunctory but not too much of a drip. Look for Peter Bull, Dr. Strangelove's Russian ambassador, in a small role. Of course the script is loosely based on the first half of Jonathan Swift's ribald 1726 novel, Gulliver's Travels. While the book remains one of the hardest-biting social satires ever to draw blood from the pompous and the political, few of those teeth remain in this truncated adaptation. Nonetheless, the Lilliputian social order and its Emperor's single-minded war against a neighboring island - fought over an absurdly trivial matter inflated to genocidal levels by unbending ideological fervor - are still recognizable targets. Visually, Harryhausen's tall/small effects are well done, though a viewer accustomed to more recent breakthroughs should expect to see the seams showing and hear the floorboards creaking. For a good number of fans, Bernard Herrmann's fine score is the chief appeal here. 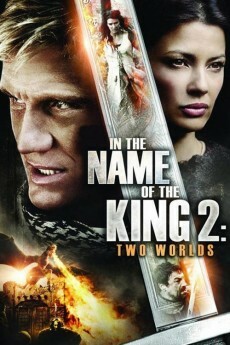 Is this a film for children or a film for adults? The too-easy answer is that it is obviously a children's version: There is none of the trumped-up insanity element that the dreary-but-great-looking 1996 TV movie shoe-horned in for cheap drama. Neither is there the despair or genuine misanthropy of the book. Only Lilliput and Brobdingnag are visited. (No Laputa, Balnibari, Luggnag, Glubbdubdrib, Japan, or Houyhnhnms. 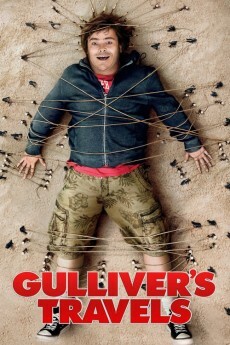 The third world is Gulliver's own normal-sized world.) Gulliver puts out the fire in Lilliput by spitting wine. (In the book, the wine has been processed by Gulliver's bladder before he douses the fire with it.) Many characters, though not all, are all done in a cartoonish way clearly aimed at children. The travels are framed within the added-on love story of Gulliver and his fiancée Elizabeth. These are good choices. Children are inherently interested in the size contrasts. (It must add something to the experience that first they identify with the Lilliputians but later identify with Gulliver.) Spitting the wine is good enough. The cartoonish-ness makes the characters less threatening than they could have been. The love story is light and easy to follow, and promotes marriage. There are even a couple of musical numbers, one a love song that Gulliver sings. The Bernard Herrmann score is a fine complement to the film, as you would expect from the composer of music for the original Psycho, Citizen Kane, Magnificent Ambersons, Ghost and Mrs. Muir, Day the Earth Stood Still, Alfred Hitchcock Presents (tv), Have Gun Will Travel (tv), Perry Mason (tv), Twilight Zone, Cape Fear (1962), Taxi Driver, and on and on and on. But Sher's script and direction have preserved some important points and spirit from the book: The gratitude of princes is short-lived. The causes of war can be shockingly petty. Vanity and unreason among the powerful make truth an early casualty in the pursuit of power. The various unpleasant characters (and the few nice ones) actually reflect things inside all of us. If it's okay for an adult to be reminded of these things in a playful way (certainly more playful than the original), then this film will amuse and inform that adult. And what are Gulliver and Elizabeth doing when their ball-field sized marriage license falls over them like a tent, and King Brob, peeking under it, is moved to say, "You're right dear. I'd better marry them at once." 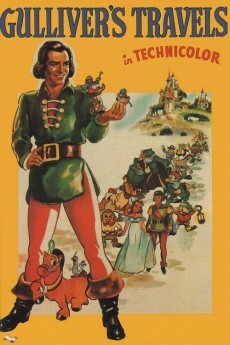 Ultimately, it has to go down in the books as a children's film, but surely an uncommon one: an intelligent adaptation, if abridged and lighthearted, of a great classic, that stands on its own for entertainment and, if you like, can whet your child's appetite for the book when that time arrives. Like the tacked-on love story, there is a tacked-on ending that suggests that the whole thing might have been a dream. I originally found this annoying. These days, watching with my little girl, I find that I'm glad for the admittedly sore-thumb reminder that the value of the story is not in whether those characters do or don't exist, but in what the story says about what is within us. As with all such points in the film, you'll have to talk with your child a bit to be sure that it comes across, but what a pleasure - to find a film that sparks such a discussion with your child. The 3 Worlds of Gulliver could easily have been made into an adult satire as Jonathan Swift originally intended, but I daresay Columbia Pictures would not have realized too much box office had they gone that route. I saw it as a 13 year old back in the day in theater which is really the only way to appreciate the special effects of Ray Harryhausen. It's a wonderful film for a juvenile, but later in reading about the times one can appreciate what Swift was trying to say and the humorous way he said it. At the time Gulliver's Travels was originally written the age of the religious wars of the 17th century was coming to an end. Swift was a member of the Tory Party who sought to put an end to the War of Spanish Succession which the Whigs in power seemed to drag on and on. For the Whig view of the conflict I suggest strongly reading Winston Churchill's Life of Marlborough which equates the Tories of the day with the Baldwin-Chamberlain led Tories of the Thirties. Swift looked about and just saw a lot of carnage with power politics and religion all jumbled together so that you could not tell where one left off and the other began. Gulliver's Travels is how Swift saw the world of his day, religious intolerance and a budding imperialism. Swift was in fact an ordained minister who apparently had a vision that HIS way of worship was not necessarily THE way of worship for all. A novel idea back then, expressed in the war the Lilliputians and Blefescuans wage over which end of the egg to break. The Brobdingnag tale where Gulliver once a giant in Lilliput is now a small wee creature in a land of giants. And these giants think that because they're bigger and mightier they can rule over all. They see Gulliver and his bride as pets to kept as long as they amuse. It's a classic commentary against imperialism, unusual in its day and made Swift most unpopular in high places. These issues aren't for kids of the Saturday matinée crowd and Kerwin Matthews as Gulliver is playing for them. Matthews had a great career doing these fantasy things and he was real good in them. Maybe because he played the roles absolutely straight and we believed because he believed the part. 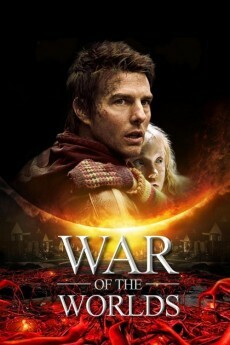 Ray Harryhausen is at the top of his game and the film holds up very well. Even better in fact when you know the background from which the material came from.